After a head-on collision, the galaxies' shapes are strongly disrupted. The tidal forces of gravity have created long plumes of material called 'tidal tails'. The central regions will relatively quickly fall back together and merge into a single remnant galaxy. Such a collision may occur for our Milky Way Galaxy and the neighboring Andromeda Galaxy in about five billion years. 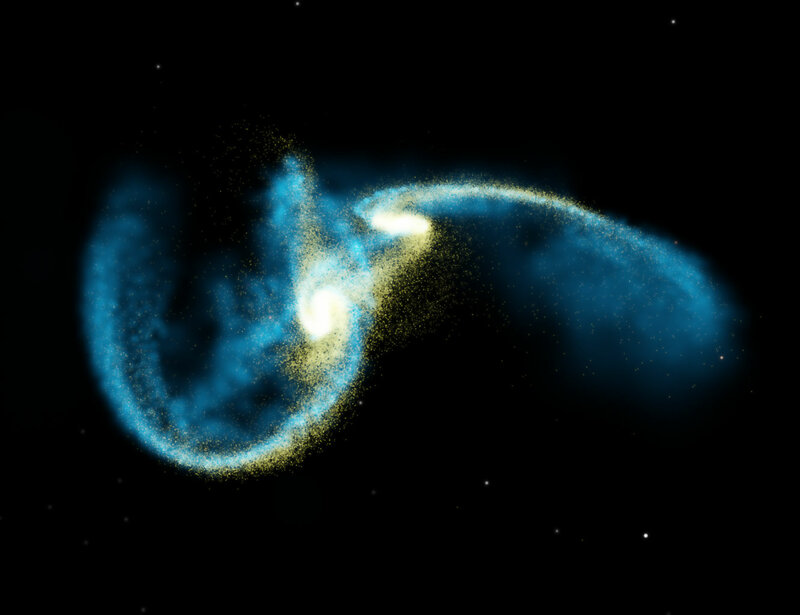 This image is an artist's visualization of a Galactic collision.